The application requirements determine the category of piezoelectric transducer that is chosen; therefore, a selection of the transducer type has to ensure the various characteristics – sensitivity, geometry, rated capacity, excitation voltage, loading conditions, creep, frequency, linearity, etc. – are optimal enough to ensure that the system of application operates efficiently within certain error limits and tolerances. The next step after transducer type selection is the installation and mounting process. These processes are very delicate – owing to the operating principle of the piezoelectric sensor – and involves other sub-processes. This article discusses the various concepts and process that relates to the installation and mounting of piezoelectric force transducers. What Is A Piezoelectric Transducer? First, it is important to understand that a piezoelectric force transducer is simply a sensor that detects the applied force, deforms under this stressing force, and then generate an electrical signal at its output terminals. This electrical output signal is in the form of electric charges; hence the produced charges are proportionally indicative of the applied force. Piezoelectric transducers operate based on the piezoelectric effect: piezoelectricity is produced when a polarized crystalline material is stressed or deformed; the stress causes a shift in the orientation of the internal dipoles of the material. It is almost similar to di-electricity, which is charge production the shift of electrons in an insulator. This transducer is modeled electrically as a charge source in series with a capacitance that has an internal resistance and inductance. 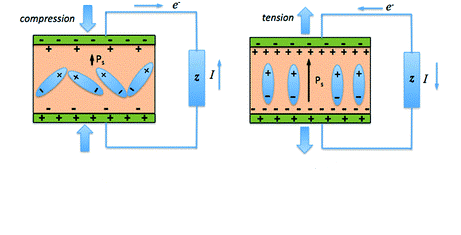 Figure 1 and 2 below depicts the piezoelectric effect and an electrical model. Furthermore, the mathematical formula that shows the relationship between the charge produced, the applied force, compliance, and the material constant is expressed below. The compliance of the material is the inverse of Young’s modulus. The piezoelectric material in the transducer is attached to the body of the transducer such that it lies along the loading axis, that is, the direction of application of the dynamic force to be measured. As it is widely the practice, the installation of this transducer has to be carried out by a well-trained personnel who understands the various standard safety requirements and guidelines. In an industrial setting, the personnel should follow the installation design details that contains information about the location of installation for the transducer, the sealing of the transducer’s housing unit, the wiring diagrams, cable requirements, and grounding of the system. In addition, the personnel should also be able to perform both the pre-installation testing and loop testing – after the transducer has been installed in the system. Accessibility: the mounting position should be chosen such that the device is easily accessible to the authorized personnel for repairs and maintenance. The transducer’s Geometric shape: based on the shape, the transducer should be mounted such that the orientation of the underlying piezoelectric material ensures that the direction of applied stress and the position of the output electrodes – that detects the output electric field – are perpendicular to each other. Resonant frequency: the natural frequency of the piezoelectric materials can be as high as 100,000Hz and they are not self-damping. Therefore, if it is not needed to drive the transducer to this frequency level, then appropriate mounting measures should be taken against it. Damping: Damping is necessary if the material is to be operated normally especially at its natural frequency. Therefore, mounting could provide damping by using spring elements to pre-compress the transducer for more support, better rigidity, and firmness under vibrations of different amplitudes. Damping also greatly improves linearity. Cabling: the electrode cables of the transducer must be kept properly insulated and short. The cable should not be cut short or extended without special knowledge on how to cater for the new capacitance created by the new cable length. Also, during installation, the open area of the cable should not be touched; as a matter of fact, the cable contact should be kept free of dirt. The recommended wire type for installing piezoelectric transducers is the Coaxial cable. Housing unit: the packaging of the transducer could be made a vacuum, to ensure the absence of air loading and proper damping. The unit must be properly sealed against dust and dirt particles. Signal conditioning peripherals: These devices should be placed as close as possible to the transducer so as to reduce the distance of charge and signal transmission; it will help reduce unnecessary noise coupling and voltage drops. Grounding and shielding: This is a very important step during installation. The transducer should be properly grounded to protect the device. It should be noted that the piezoelectric material within the sensor can act as an actuator in a process called the reverse piezoelectric effect: it means that if an electrical time-varying signal – e.g. AC voltages – is applied to the piezoelectric material, it starts vibrating at a certain frequency. There is, therefore, a crucial need for proper shielding against electromagnetic interference. The important installation components are mainly the piezoelectric transducer itself, the connecting cables, and the charge amplifier. The earlier sections have addressed the operating principles of the transducer and cabling is discussed under the mounting section. Therefore, the only one left untouched is the charge amplifier. The charge amplifier is an electronic circuit that converts the charge output from the piezoelectric sensor to a voltage output. It is designed from an operational amplifier with a high input impedance – usually a MOSFET input stage, a suitable frequency response, and a low output impedance. In the amplifier design, a feedback technique is used so as to allow for gain adjustment and to also filter the signal. 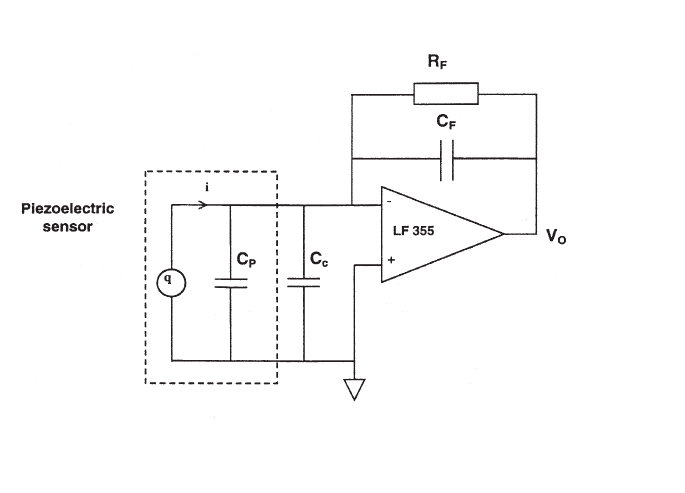 Figure 3 below shows the schematic of the charge amplifier connected with the modeled cable and sensor parameters. In the diagram Q is the charge source in parallel with the sensor capacitance Cp, Cc is the cable capacitance which is also in parallel with the sensor parameters, Cf and Rf are the feedback capacitance and resistance respectively. 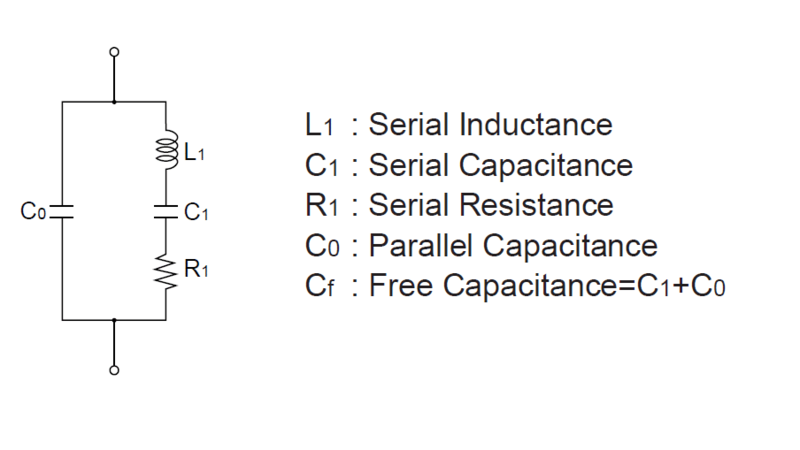 In figure 2, it is shown that there is a resistance in series with the parallel capacitance Cp; it is this resistance that causes charge leakage. The calibration factor is fixed by the value of the feedback capacitance and resistance Cf and Rf. A dynamic frequency range, as the time constant ( Rf*Cf), can be adjusted; it can be made large or small for low and high-frequency operations respectively, but only for dynamic loading. The elimination of the effects of the stray capacitances of the connecting cables Cc and that of the sensor Cp. The above-stated influences of the charge amplifiers, therefore, enable the piezoelectric transducer to have a high stability, wide dynamic range, good temperature stability, good linearity, and low hysteresis. In conclusion, the output terminal of the charge amplifier can then be connected to an analog-to-digital and signal processing component or a voltage meter. Electromechanical Coupling Factor: it indicates the efficiency of the transducer, that is, the relationship between the supplied electrical energy and the output mechanical energy of the material. The Voltage Output Coefficient: the effective electric field strength under uniform stress but zero electrical displacements. The Mechanical Quality Factor: this indicates the steepness of the response of the material to a mechanical vibration that is equal or close to the resonant frequency. Poisson’s Ratio: this is the ratio of the traverse strain to the axial strain when a constant stress is applied to the material. Curie Temperature: The temperature level at which the material loses its polarization and piezoelectric properties. It causes the aligned dipoles to become disoriented. The Compliance: It is also called the elasticity constant and it is the inverse of the Young’s Modulus, hence the ratio of the Strain to the Stress. The calibration of the installed transducer is performed after appropriate mounting is completed; calibration simply involves comparing the reading of the piezoelectric transducer to that of a known standard. This will help to check systematic errors and improve accuracy. The piezoelectric force transducer is only suitable for dynamic measurements, hence it is widely used for ultrasonic applications, shock measuring sensors, airbags, acceleration measurements, etc. ; its small and compact size makes it possible for it to be embedded inside miniature systems.